No question RAW photography provides shooters with more quality options than standard JPEG formats. But until 2006, the workflow for managing RAW files was clunky at best. The problem was that we really didn't have a pro-level integrated environment for organizing, editing, and outputting RAW files. The general workflow was to open here, store there, edit with this, then, create a new file that had to be managed too. Software companies such as Adobe, Apple, and Light Crafts realized that there had to be a better way, and then did something about it. As a result of their efforts (and others too), we are now entering the New Age of RAW Photography. Integrated environments with smooth workflows enable photographers to focus more on taking their shots and less on managing them. 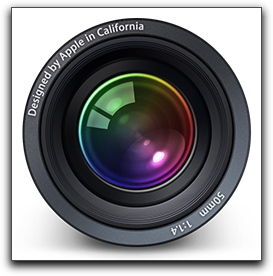 Applications such as Apple Aperture, Adobe Lightroom, and Light Crafts Lightzone are leading the way. Another factor is that our input devices, also known as digital cameras, are much improved. We no longer have inferior images as the starting point for the photographic process. Having quality data upfront means that if we apply good shooting technique, we don't have to engage in hours of post production just to get a "photographic" image. In this audio show, I discuss the notion that it's time for us to refocus our efforts on taking good pictures, then leverage these new tools to quickly manage our RAW files for beautiful output. Now that I've piqued your curiosity, it's time to listen to today's audio show titled, "New Age of RAW Photography." You can download the podcast here (32 minutes).